Say it with pies, pier rum, oysters or even a pub! This Valentine’s day, (or any day!) why not make your purchase one that delights your beloved AND supports your local community at the same time? An ever-growing number of local people are setting up and running community businesses in their villages, towns and cities and there are now nearly 7,000 in England alone. Offering everything from affordable homes to a hearty pie, community transport to a local pint, renewable energy to class A oysters these are organisations rooted in a local area, run by and answerable to members of the community, and which make a trading profit to re-invest in doing more social good locally. Power to Change, the independent trust supporting community businesses in England, says there are many ways to give Valentine’s gifts with real heart this week for the benefit of local people. Here’s just a few. 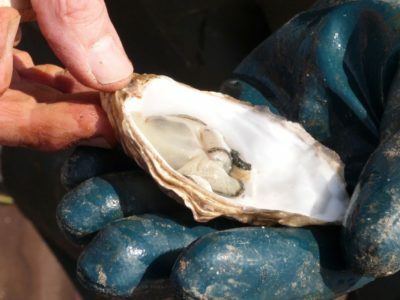 Community-owned oyster farm in Porlock, Somerset, has revived a 100-year old trade by growing and selling Class-A oysters. As well as providing much needed jobs in a small town where many young people were leaving in search of employment, the oyster farm has also created opportunities for local suppliers, increased turnover for local restaurants and hotels, helped refurbish buildings along the harbour and brought tourists to the area in oyster season. That might make them easier to swallow. Legends to Liverpool’s pie scene, Homebaked a community bakery and land trust across the road from Anfield Stadium has breathed new life into a disused former bakery in the heart of a deprived area of Liverpool, all but abandoned by the local council. 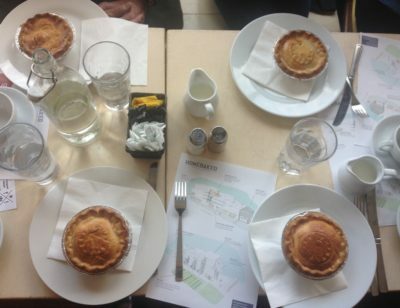 They’ve been baking pies on the site since 2013, but these are no regular pies; profits from each go straight into the local area, creating training and volunteering opportunities, teaching baking to local schools, running a young people’s business scheme and creating affordable housing. Put that in your pie and smoke it. 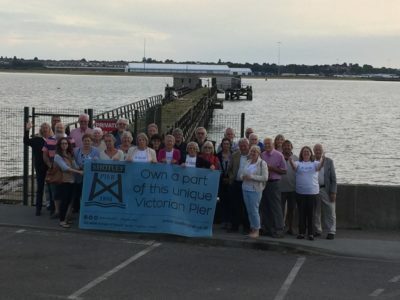 Community-owned Shotley Pier, Suffolk’s only railway pier have their very own ‘Pier Rum’ based on the secret recipe of a local family with a history in the navy. Bag yourself one of these bottles and you will be helping to raise money towards restoring the beloved pier which will help bring more visitors to the area, as well as funding apprenticeships to give young people skills to enter the coastal civil engineering industry. Ho, ho, ho, me hearties that. Ok, so buying your local pub might take a bit more effort and a little more time, but did you know that help is even available to communities wanting to take on an abandoned or struggling local? 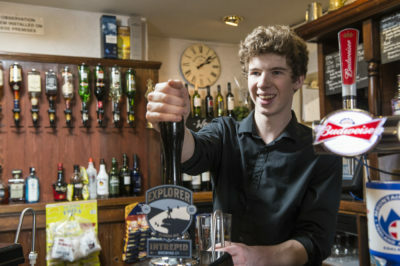 The More than a Pub programme, jointly funded by the Ministry of Housing, Communities and Local Government and Power to Change provides a package of business development support, advice and loan and grant funding to community groups in England to help them establish community-owned pubs. Cheers my dears. Award-winning edible chocolate ‘coal’. What’s that now? This Lynemouth based confectionary business, operates out of a once thriving mining community. But when the pits closed in 2015, it took many local businesses down with it and left many local people out of a job. 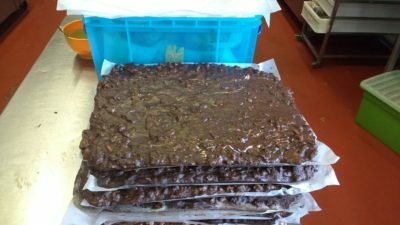 So treating yourself to some chocolate coal, sold in Selfridges, will help bring sustainable employment opportunities to an ex-mining community. Sweet.